I am as addicted to the plum as you have noticed the reviews and everything. This time I am up with the plum green tea shower gel. Shower gels I generally use when I am travelling. Because it is pricey (hahah just kidding) I basically do not use much shower gel but as you can see, I now have a habit to try plum range so I just ordered to check out it works for me. 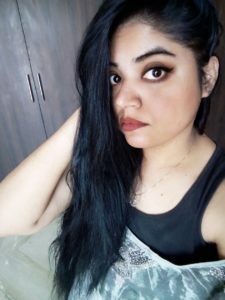 So let’s check in detail about PLUM GREEN TEA SHOWER GEL. 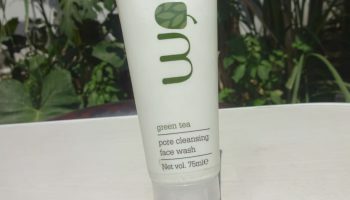 About the product: Refreshing green tea extracts. Mild cleansing system. 100 percent soap free. Lingering fragrance for stay on freshness. 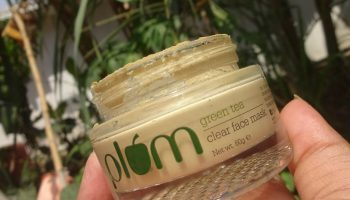 Plum products are PETA-certified vegan & cruelty-free. No parabens, phthalates, SLS & no harmful ingredients. We love nature’s goodness and give away 1% of every sale to environmental causes. Direction of use: Pump out a few drops and apply directly onto the skin. 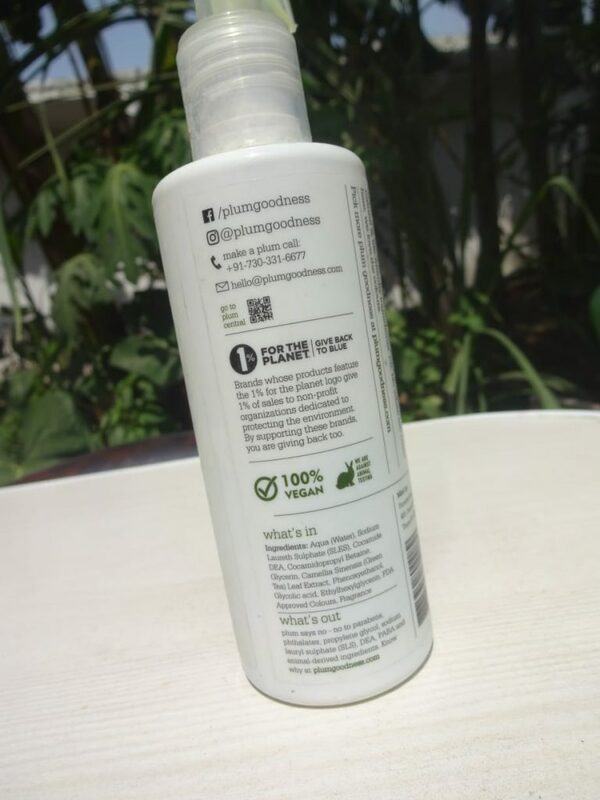 Packaging: The best thing is it comes in a pump dispenser which is very hygienic to use and it locks perfectly which makes it convenient to use during travelling. 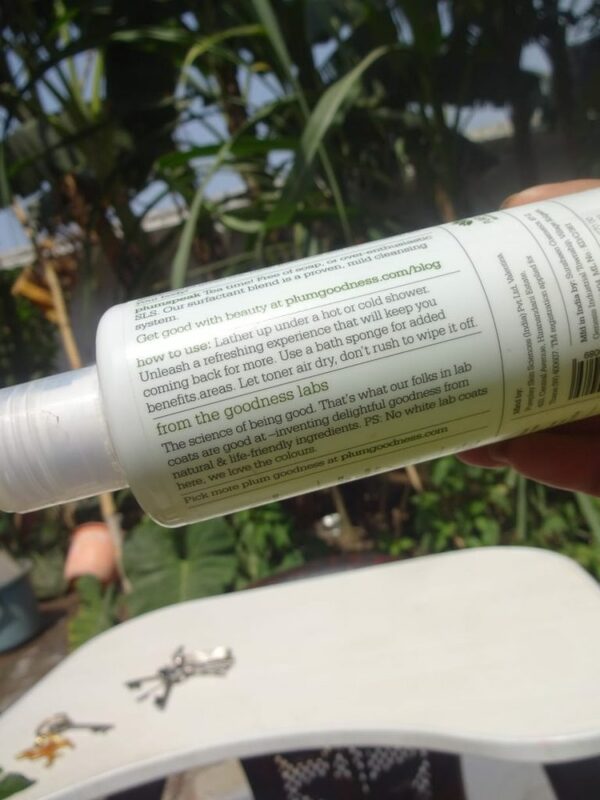 My opinion about the product: The texture of the Plum green tea renewal shower gel is creamy and has smoothening effect when gently rubbed in the skin. I generally use it when I am travelling and this carried out to be the best. Frankly speaking I have mixed feeling about this product. 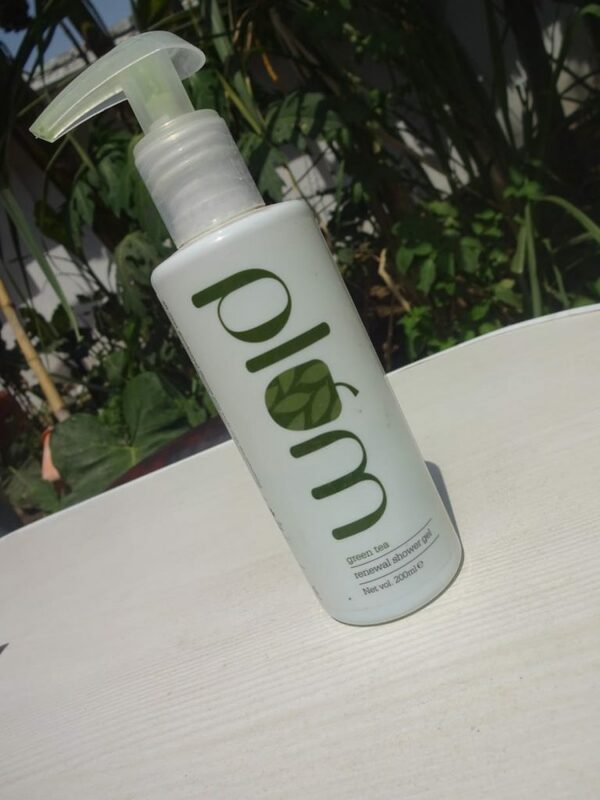 The Plum green tea renewal shower gel is not very effective for the dry skin as it has dryness created if no moisture is applied after taking the shower with the Plum green tea renewal shower gel. 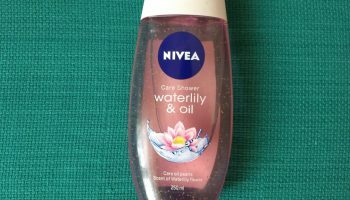 I take two pumps of this shower gel onto a wet loofah and it easily lathers up which are enough for the entire body. 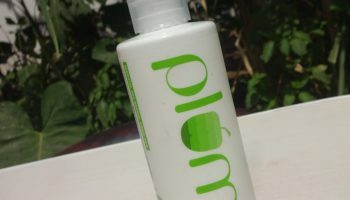 Plum Green Tea Renewal Shower Gel has a lovely mild fragrance. My skin does not feel dry after washing. The fragrance does not linger on though but that’s not a problem for me. One bottle will easily last 2 months if used daily. 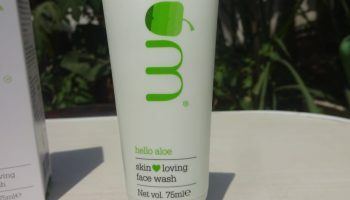 I would recommend this product for all skin types. 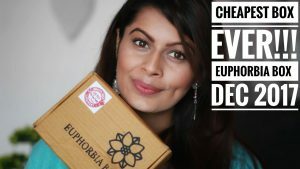 The price may be on the higher side but I personally won’t mind buying this product as I know that it is 100% safe for my skin and I have nothing to worry about. 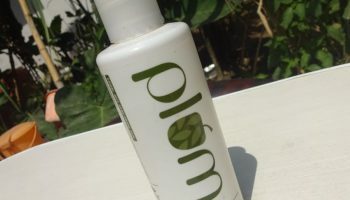 – Does not dry out skin.